In today’s world, how you do a job is just as important as what you do. This is especially true for those in positions of influence within the sustainability impact sector. Herding cats through a complex change process while maintaining the bottom line? You’re going to need super-human levels of focus, calm and empathy. Our ability to align our intellectual intelligence with our emotional intelligence defines our effectiveness as leaders. Businesses are waking up to this, and mindfulness is now taking center stage on the professional development agenda. Just ask Google, whose Jolly Good Fellow (aka Head of Mindfulness) has a job description that includes KPIs such as “enlighten minds, open hearts and create world peace,” which could be why its ‘Search Inside Yourself’ program is now publicly available to “bring the benefits of mindfulness-based emotional intelligence to your workplace or community.” General Mills, Target and Aetna are also hopping on the mindfulness train and setting up internal programs to engage employees. Proving the point is a recent study from the Institute for Employment Studies and Cranfield University’s School of Management, which found that mindfulness can be used to drive change in organizations. (They summed up their recommendations in this handy infographic). Given that the science is so clear on the beneficial impacts of practicing mindfulness, it’s easy to see why major corporations are charging down this route. After all, who doesn’t want to cultivate awareness, humanity and perspective in the workplace and encourage a low-stress, high-satisfaction collaborative team? Practicing mindfulness involves paying attention to our experience in a particular way. Bill George, a senior fellow at Harvard Business School writing for HuffPost, recalls an interaction with the Dalai Lama: “A few years ago when I asked [him] how we can develop a new generation of compassionate, mindful leaders, he replied simply, ‘Develop a daily habit of introspection’.” According to George, this daily habit can manifest as meditation, prayer, journaling, or, simply, jogging alone. Essentially, these kinds of mindfulness practices train us to be fully present, help us reduce stress by letting go of anxious or negative thoughts while boosting creativity, decision making, focus, memory and other subtle skills that make a big difference at work. 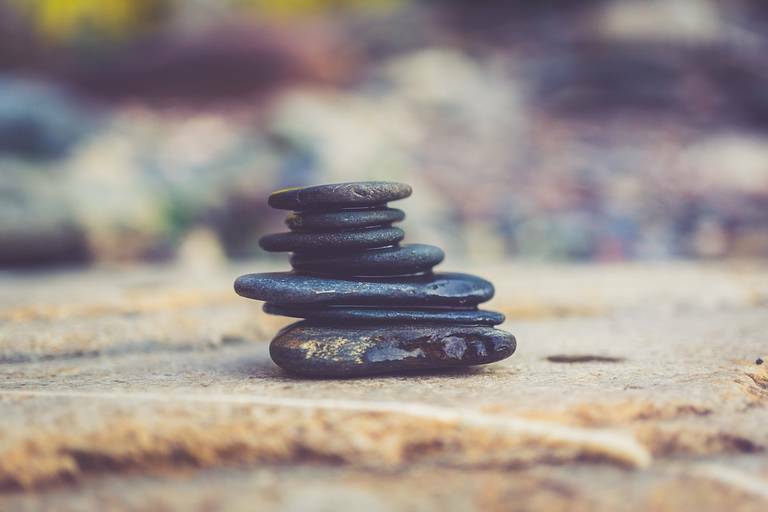 According to an article in the Harvard Business Review, mindfulness improves effectiveness by directing focus to the most pertinent task at hand and supports informed decision-making by helping leaders take the time to consider all of their options. As Google and other progressive organizations know, mindfulness is a skill you can teach in the workplace. In order to become one of Google’s certified Search Inside Yourself trainers, I have to show 1,000 hours of meditation practice (that’s 4,000 meditations of 15 minutes each) plus attend a 5-day silent retreat. They are promoting the sustainability mantra “walk the talk.” Having practiced meditation and mindfulness myself for a number of years, these techniques are something I use to help clients tap into their own emotional intelligence. I have seen transformation in clients being able to build resilient teams that the drive innovation and deliver the impact our sector seeks, as well as reflect on how their own behavior connects with their personal goals and ambitions. But if your organization isn’t offering Continuing Professional Development on meditation, don’t let that stop you making the first move yourself (London-based readers should check out this calendar for events in their area). As Shakya reminds me, mindfulness has helped the leaders he has worked with regain the ability to enjoy what they do after particularly stressful periods at work, and has supported others to cultivate a seemingly effortless management style of appreciation, empowerment and confidence. That sounds like a career goal worth training for. Shannon Houde is an ICF certified executive and career coach who founded, Walk of Life Consulting, the first international professional development advisory business focused solely on the social impact, environmental and sustainable business fields.